Every new and upcoming blogger wants to succeed and make good money with his blog. If he is really hardworking and serious in his approach then he might be successful. However according my early experience as a blogger merely hard work is not enough, you have to act smartly. So to be a successful blogger, SEO or search engine optimization plays an important role. You will hear about SEO as soon as you start blogging. 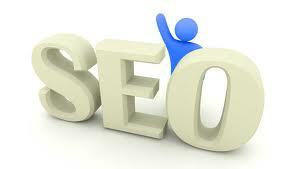 SEO is a vast subject and it is quite natural that a blogger does not know about it comprehensively. We are also not interested in getting deep inside the world of SEO. However as a blogger you have to know few basic things about SEO. SEO can be divided into two parts. One is On-Page and another is Off-Page. On-Page means the front end and off-page is about codes. Here we shall discuss about few basic SEO tips regarding On-Page intelligence. So let’s find out one by one. Page Title is nothing but the title of every blog post or a web page. Your page title must not be duplicated or copied from others. Page Title is the first thing that any search engine will look for. Usually page titles will tell entire topic of the blog post. I suggest to include your primary keyword in the page title. However you should not force it. Always try to create unique page titles. It is absolutely must for any SEO. When you are writing for a blog you have to create many posts and they are interlinked with each other through anchor texts. Usually anchor texts are used to link different pages or posts that are written on same topic with similar primary keywords. You need to properly manage your internal links as it must not grow like a weed. A blog may contain many posts and you have to properly connect them with each other through proper keywords. Search engines do crawl to your internal links, so it must be maintained properly every week or month. Remember all the techniques that I am going to tell you are very easy to implement and you do not need any expertise. I do assume that you are just a blogger without any programming background. First one is keyword research. Every blog is based upon certain topic. Keywords are list of those words that comes under a particular niche. You must have done thorough research on which keywords to include in your content. Researches like how many people are typing that keyword in search engine, level of competition etc. You should try to jot down all those keywords in a list which are highly searched and also have less competition. Try to use those keywords in your content. This on-page technique is also regarding keywords. Your content must contain right amount of keywords in every blog post. If you are stuffing blogs with unnecessary keywords then Google will never rank you. Keywords are of two types, one is primary and other is secondary. You must have one primary keyword for every 100 words, which means for 500 words article you will have only 5 primary keywords. Due to inexperience it is a common practice that a blogger will stuff his blog with too many keywords. As a result Google search engine bot will declare your content SPAM. So be careful with keyword density. Site structure can also be called as site architecture. Your site architecture must represent the niche or the market you are targeting. Design your site according to that only. Many site fail to rank only because there content is not designed according to a particular niche. Maintaining site structure would be the most difficult job as a new blogger because you might not know many things. However to overcome this I suggest you to focus on creating good content. Even if your site architecture is not good enough you can make up with quality content. Content must be liked and enjoyed by the readers. Then search engine will overlook bad site architecture. In conclusion I would only say as a new blogger you have to fulfill your basic SEO responsibilities. For you I have indentified some basic SEO tasks that you should learn and implement as soon as possible. All the five are very basic of any On-Page SEO.